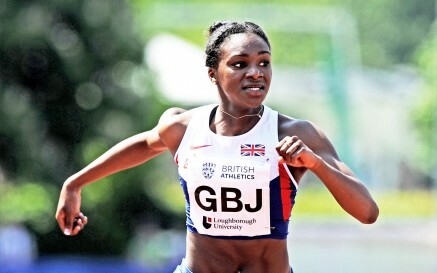 23rd July 2014 – At the IAAF World Junior Championships in Eugene, Dina Asher-Smith proved she is the fastest teenager in the world by winning the 100m title. The John Blackie coached, 18 year old, started the favourite having been the fastest qualifier from both the heats and semi-final but she was able to withstand the pressure and more than delivered in the final. Dina took a commanding victory in 11.23 seconds (-1.0) a full 0.16 seconds clear. Dina now contests the 200m starting Thursday morning.